Find Sedalia, CO Homes for sale. View Photos, Maps and MLS Data Now! Plan now to visit this wonderful property! MLS#3964354. Keller Williams Clients Choice Realty. Activities from your front door include; Wildlife watching, ATV, UTV, dirt-biking, mountain biking, hiking, fishing, hunting, swimming, Kayaking, rafting, tubing, camping, shooting and Jeep trails. MLS#8404414. SOLDBOT INC.
Perry Pines - Parcel is zoned for up to 2 horses. MLS#3564972. RE/MAX Professionals. See supplemental property remarks for more information. MLS#8660177. HomeSmart Cherry Creek Properties. Elk Ridge Estates - Behind the kitchen has a fantastic 14x19 mud/laundry room w/island and a home work station. Circular concrete driveway w/extra parking. MLS#4521822. MB COLORADO RTY LLC. Newer roof cover, boiler, well pump and filtration installed. MLS#8737109. KEY MASTERS REAL ESTATE. Indian Creek Ranch - Community features an Equestrian arena that is located across from the home, clubhouse, a dedicated riding/hiking trail that runs throughout the neighborhood and behind this property with access to Pike National forest, training ring, and playground. MLS#3132187. eXp Realty, LLC. This is your own private sanctuary. MLS#4310344. Compass - Denver. Indian Creek - Imagine life away from the hustle & bustle, surrounded by beauty, in a close knit community. It all can be yours! MLS#4099883. COLDWELL BANKER RESIDENTIAL 54.
to Deckers, Gold Medal fishing, hiking, camping, mountain biking, ATV and dirt bike trails, etc Only 3 min. to the fire station. MLS#9549631. FLOOD REALTY INC.
INCOME POTENTIAL with separate apartment.Pride of ownership,well built custom home. MLS#7067438. Realty One Group Premier. Hardwood floors, upgraded cabinets and granite. MLS#9538398. Redefy. Incredible opportunity to "Live the Good Life in Style!" MLS#5452887. COLDWELL BANKER RESIDENTIAL 24. Complete remodel includes new furnace/central AC, water heater, water line from city, kitchen and flooring. MLS#8797684. Buy Sell Invest Ltd.
Property is a goldmine for the entrepreneur/small farmer/investor. MLS#5244321. Buy Sell Invest Ltd. Authentic Colorado living with easy access to employment centers, retail, dining and city venues. MLS#7162259. LIV Sotheby's International Realty. A short commute to everything Sedalia & Castle Pines have to offer. MLS#3215691. RE/MAX Professionals. At only $749,900, even the price leaves nothing to be desired! MLS#2568608. Keller Williams Realty Success. Indian Creek - County living at it's best! MLS#5105171. 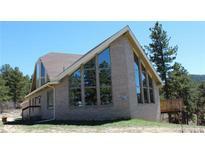 Brokers Guild-Cherry Creek Ltd..
Just a few minutes from South Platte River and Rampart Range. MLS#4607221. Realty One Group Premier. Rock Estates - Exquisite Craftmanship Throughout, Only 30 Minutes To Castle Rock, Private Retreat, Oak Hardwood Flooring Throughout, Massive Kitchen With Antique Heartland Stove, Oversized Master With 5 Piece Steam Bath, Finished Basement Adds Rec Room And Guest Room With Steam Bath. MLS#8630544. RE/MAX Masters Millennium. Hot Water baseboard heat, oversized 2 car garage, remodeled kitchen with granite countertops and stainless steel appliances, updated bathrooms, basement guest suite with kitchen, vaulted ceilings, hardwood floors, hot tub and much more!! ! MLS#8814993. STERLING REAL ESTATE GROUP INC.
Westcreek Lakes - Also makes for a great dog bath! MLS#8485146. Keller Williams Advantage Realty LLC. generator, wood burning fireplace, hardwood floors, and sec. cameras around property. MLS#6470038. RE/MAX Professionals.